Does Eating Mustard Help Lower High Blood Pressure? 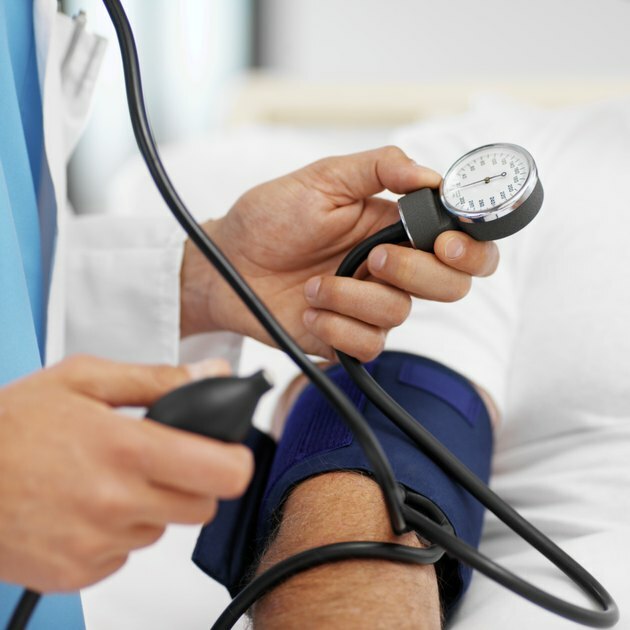 Your risk for heart disease, kidney disease and stroke increases if you have high blood pressure, or hypertension. No single food can lower your blood pressure, but mustard seed, oil and greens can all contribute to a balanced diet for controlling blood pressure. A nutritionist can help you design a nutritious diet with the essential nutrients for regulating blood pressure. 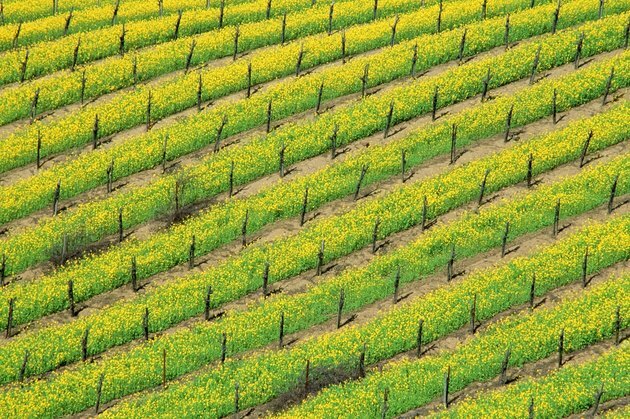 Ground mustard seed, mustard greens and mustard oil have no more than 14 milligrams of sodium per serving. A reduced-sodium diet can lower your blood pressure, and individuals with high blood pressure should have no more than 1,500 milligrams per day, according to the 2010 Dietary Guidelines from the U.S. Department of Health and Human Services. Dietary fiber, calcium and vitamin C may lower your blood pressure, according to the Linus Pauling Institute Micronutrient Information Center, and mustard greens provide each of these nutrients. Each tablespoon of mustard oil has nearly 9 grams of monounsaturated fats, and this kind of fat may lower your blood pressure as well as your cholesterol levels, according to the American Heart Association. 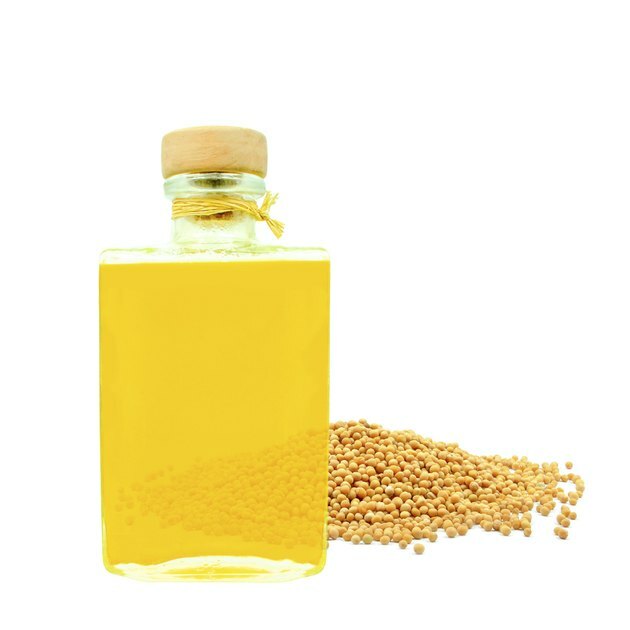 Mustard oil and mustard seed supply omega-3 fats, which may lower your risk for heart disease, according to the Linus Pauling Institute Micronutrient Information Center. 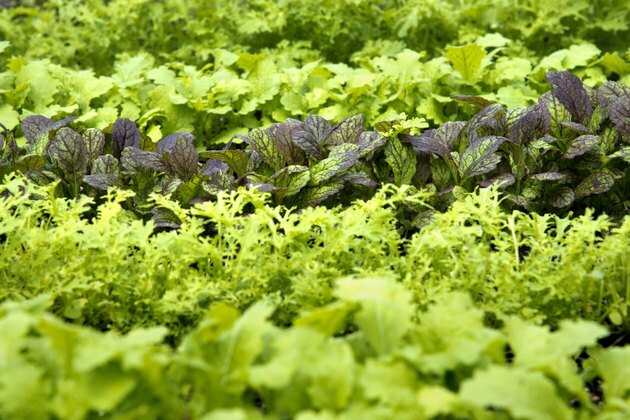 Obesity increases your risk for hypertension, and mustard greens can help you control your calorie intake and lower high blood pressure because each cup has only 15 calories. Mustard oil provides 124 calories per tablespoon, so eat it only in moderation to avoid unwanted weight gain. Mustard can be part of the Dietary Approaches to Stop Hypertension, or DASH, diet, which is an eating pattern to lower high blood pressure, according to the 2010 Dietary Guidelines from the U.S. Department of Health and Human Services. A 2,000-calorie DASH diet includes four to five daily servings of vegetables, such as mustard greens, and two to three servings of healthy fats, such as mustard oil. To limit your sodium intake, the DASH diet recommends flavoring your food with spices, such as mustard seed, instead of salt. Not all forms of mustard are healthy for your blood pressure. 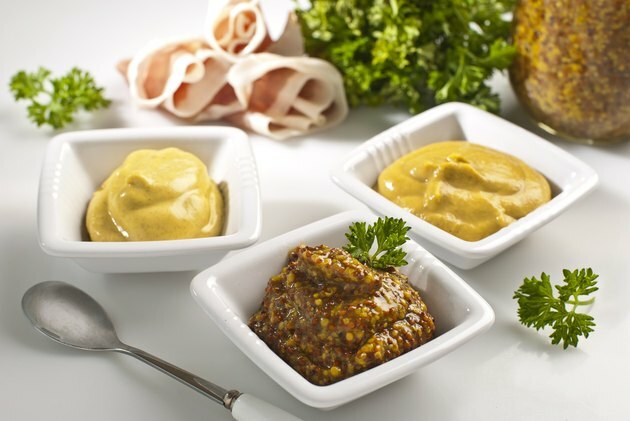 Prepared deli mustard can be high in sodium, and honey mustard dips and sauces can be high in sodium, sugars and calories. Prepared mustard made with vinegar is a high-acid food, so be cautious if you suffer from heartburn. On their own, dietary modifications are not always effective in reducing high blood pressure to a healthy range, and your doctor may recommend other lifestyle changes, such as exercise or stress reduction, or prescription medications.